seem like a low percentage, it’s among the highest in the world. liquids, heavy metals and plastics, cars that are not disposed of through the correct channels are the cause of a lot of problems. Each year thousands of tonnes of oil and other chemical filled fluids, such as brake fluid and battery acid end up leeching into the ground and so, into the water table. Of the 2m cars that end up at the end of their life each year in the UK, around 350,000 of those will just be left at the side of the road, in a field or abandoned to rust. in many cases earning a few pounds on the side. The authorised treatment facility is one that will dispose of the car in a green and safe manner. These are government approved and will have all that is required to deal with the pollutants associated with scrap cars. These registered ATFs are also authorised to offer money for cars during periods when car scraping schemes are introduced. These schemes encourage users to scrap and old, less efficient car for a new greener one by offering the driver cash in exchange for removing the old car from the road. allows you to support a charity. There are also a number of companies out there that will take your old scrap car off your hands and also offer you cash in hand for it. These companies purchase cars and then sell them to the breakers yard. 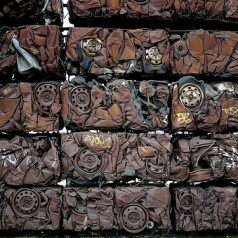 In turn these breakers yards dismantle the car – selling parts that can be used again, or can be melted down and recycled. The left over parts that can’t be are disposed of in a green manner. In such a scenario, you get the peace of mind knowing your car was scrapped in green manner and the added bonus of money in exchange for the car. number of articles for auto clients on a variety of sites across the web.